Dubai is one of the most popular city in the world and the most populous city in the United Arab Emirates. Dubai is one promising city for tourism and job opportunities for immigrants in the Gulf region from all over the world. The maximum revenue generating sectors in Dubai are Oil, aviation and tourism. Dubai is one of the most important emirates out of the seven present in the United Arab Emirates. But to enjoy Dubai you need to have a fat bank balance since it is one of the most expensive place to livein the whole of the Middle East. But the expenses can be chopped down by booking Dubai tour packages which are easily available these days. Palm Jumeirah is an artificial island developed by a company under the Dubai Government. 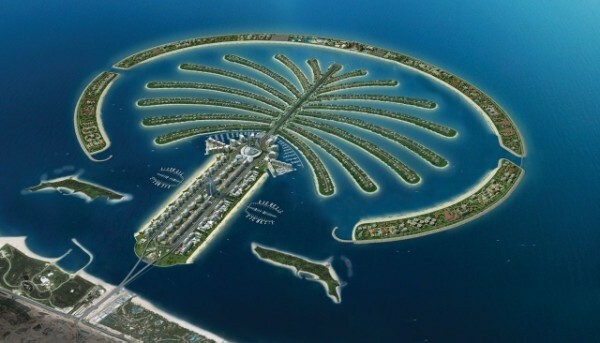 A total of 3 palm artificial islands are created by this company in the Gulf Region. These artificial islands have helped Dubai increase the shoreline by a staggering 520 kilometers. This man made island has its own monorail plying to the atlantis hotel and may give an intersection with Dubai intracity metro service as well. Villas, penthouses and bungalows are present here that costs skyrocketing prices but are worth to live in. The Dubai Skyscraper Burj Khalifa is the tallest building in the world touching a height of 830 meters and the top covered with clouds in monsoon season. A staggering 163 floors are present on this building with a hi-speed elevator which takes you up to the 163rd floor within minutes where you can see a massive view of Dubai.This building is also loved by adventurous people for sky diving.Visiting this place at night can give you a magnificent view full of lights, cars and metros moving around in the city. The Burj Al-Arab stands tall at 321 meters getting the award for the tallest hotel in the world with its artificial island. Someone who doesn’t mind a hole in their pocket should eat at the Al-Mahara Restaurant situated underwater with sea animals hovering around you or have a cup of tea at the Skyview Bar on the 27th floor and feel like an Emirati. These are some of the best Dubai tourist places to visit..